Laura is shining a light on light pollution. Or rather, trying to shut the light off. She grew up feeling connected to nature, and while studying architecture she began to wonder how she could help others connect to nature as well. This is where light comes in. “The loss of our connection to the natural day-night cycle in cities is representative of our growing disconnect from all of nature,” Laura says. As a Climate Guides mentee, Laura sheds lights on the bigger picture. While changing light bulbs is often seen as simple climate action, Laura sees the complex impact of outdoor lighting. She is working with a dark-sky advocacy group to address the issue of light pollution in Surrey. Light pollution significantly impacts urban biodiversity. For instance, nocturnal animals depend on darkness to find food. Biodiversity breeds ecosystem resilience, so naturally, loss of biodiversity reduces nature’s defence to threats, including from climate change. 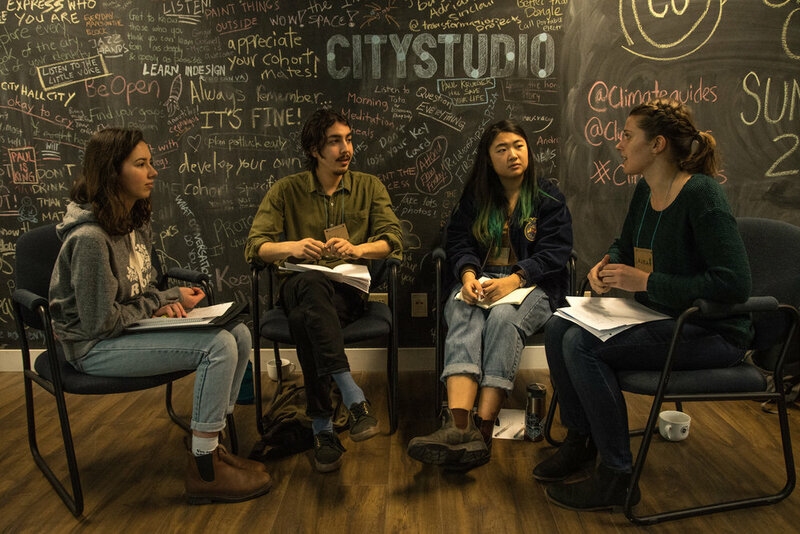 Laura (far right), engaging in discussion with some of her fellow Climate Guides mentees at the launch Summit (from left: Emily, Paul, and Sophia). Her mentor, George Benson, the Strategic Initiatives Coordinator for the City of Westminster and the Co-Founder and Chair of the Climate Change Migrants and Refugees Project. 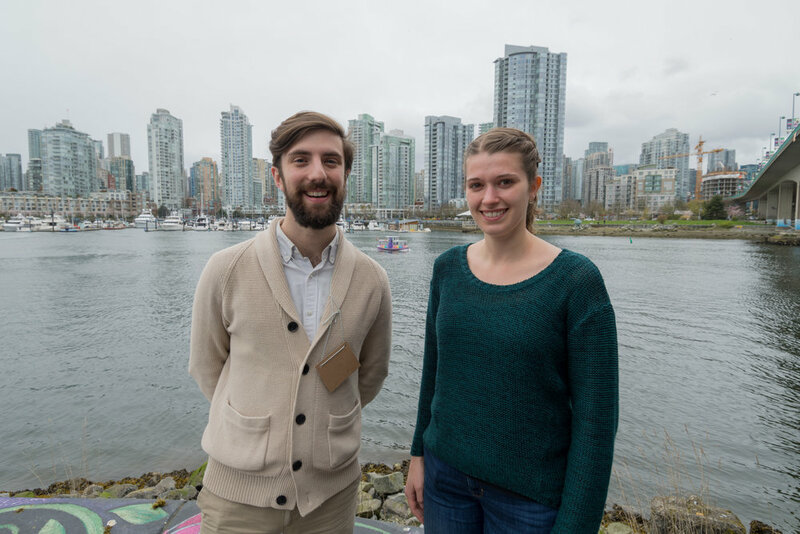 George has been able to support Laura with his knowledge on municipal governance and experience building youth-led movements. “Talking with someone who has done this kind of work before makes unknown territory less intimidating,” Laura explains. “I can easily get wrapped up in all the details, and my mentor makes me take a step back and look at the bigger picture again”. Laura and her mentor, George.